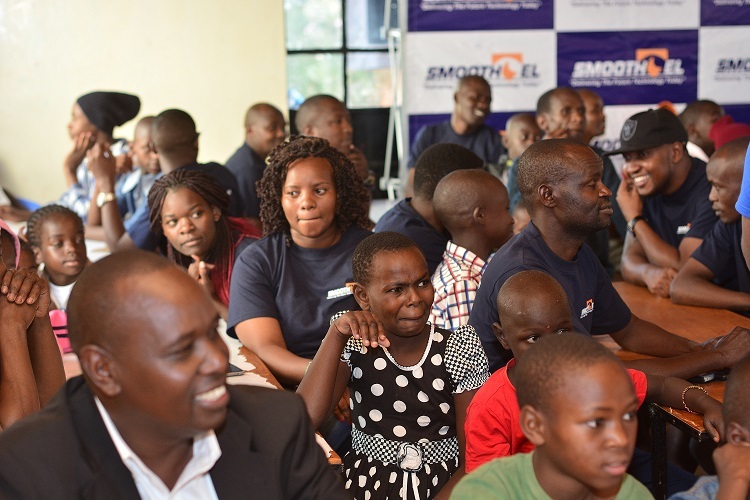 Smoothtel Team interacts with children in an indoor session held at Kivuli Centre. 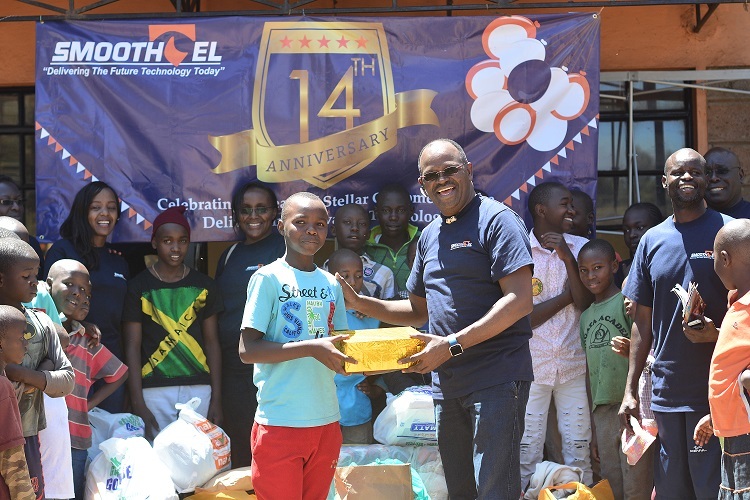 Smoothtel’s’ C.E.O Raphael Mwangi hands in gifts to children at Kivuli center during the 14th Anniversary CSR event. 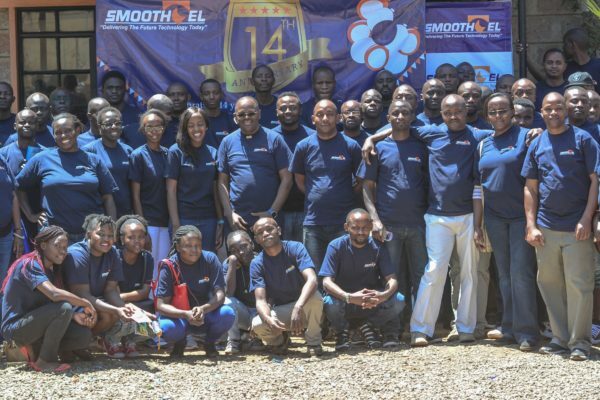 Our team poses for a group photo during a CSR event at Kivuli Centre. 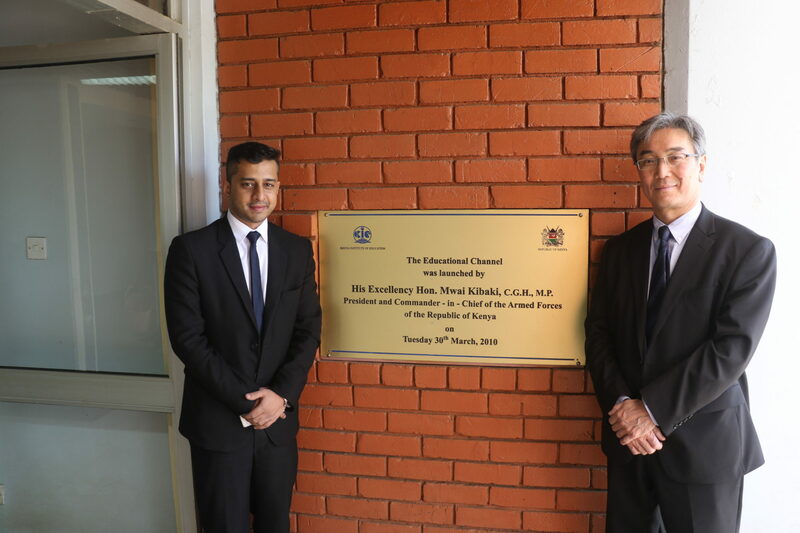 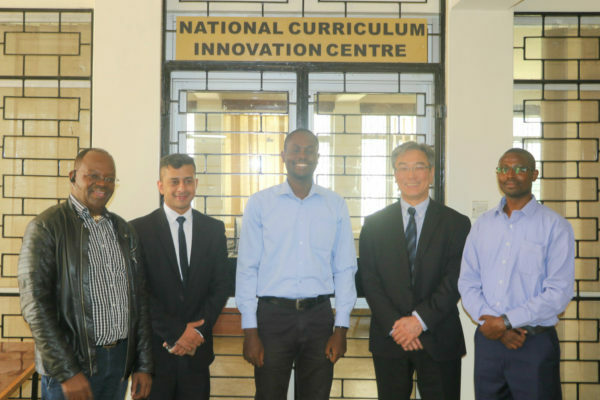 Smoothtel’s International business partners, Mr. Shinji Asano and Mohamed Tariq at the KICD (Kenya curriculum development) during a partner tour in the Country. 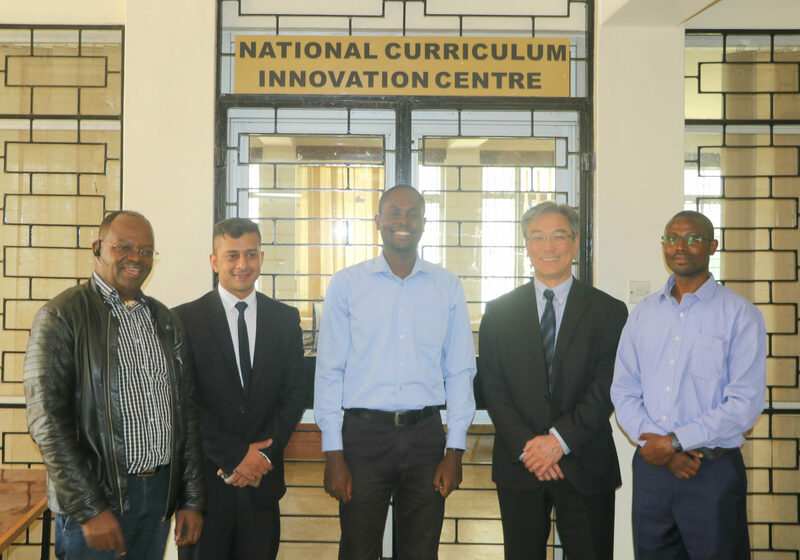 Smoothtel team and ELMO business partners pose for a photograph during their partner visit at National Curriculum Innovation Centre in Nairobi. 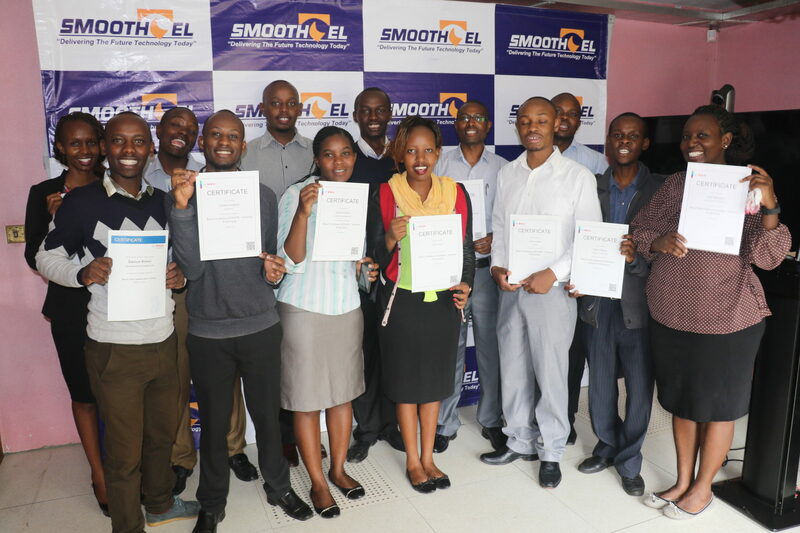 A team member is awarded a certificate of completion for training on Bosch products. 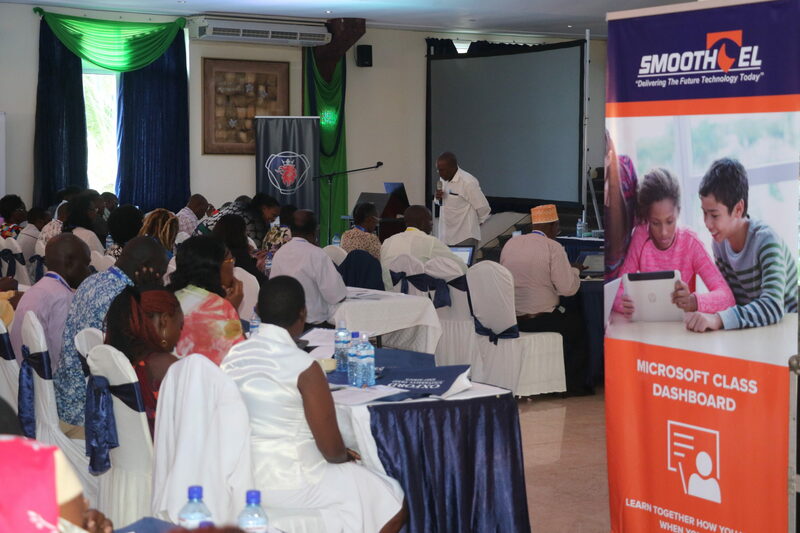 School Delegates conference in a Smoothtel sponsored event that was held in Mombasa by Kenya private schools association (KPSA). 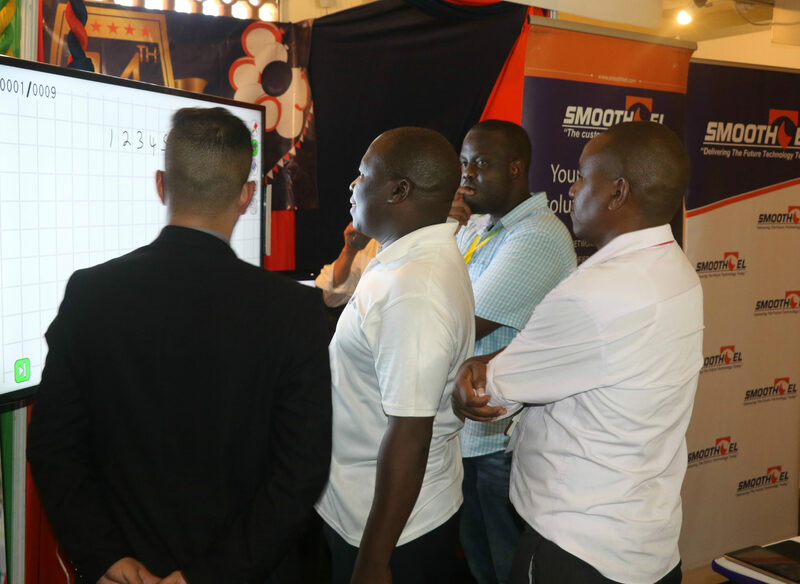 A Fascinated crowd learns about education solutions offered by Smoothtel at the Kenya Private Schools Association (KPSA) event in Mombasa. 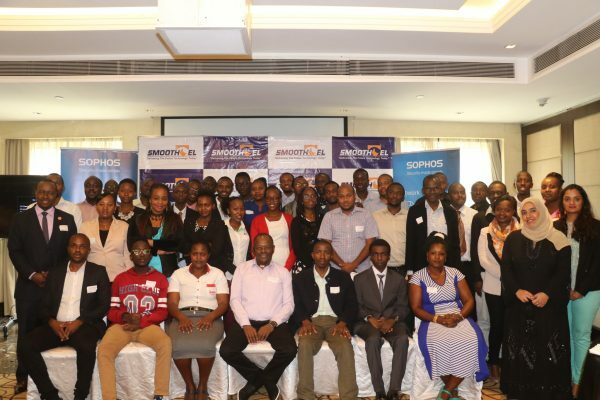 Our partners pose for a group photo during a held at Sankara Hotel in Nairobi. 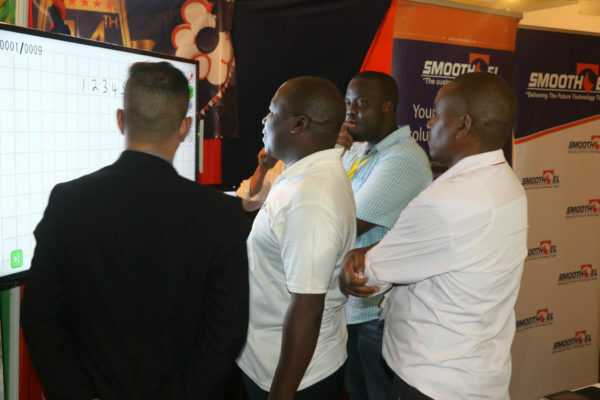 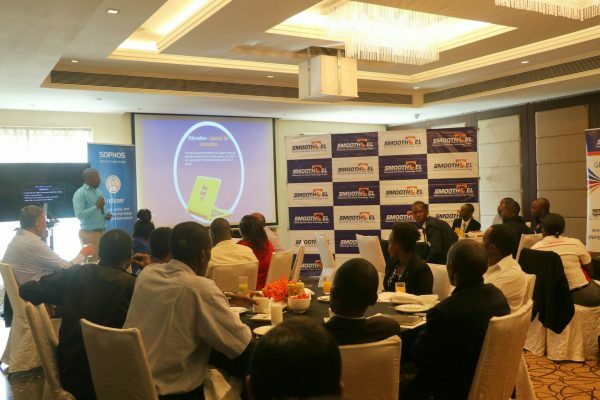 Web Securities manager briefs the crowd on various products and solutions offered by Smoothtel. 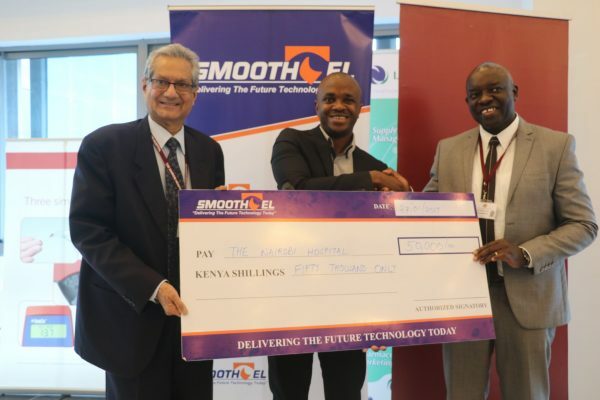 Smoothtel Marketing Officer presents a sponsorship cheque to the Nairobi Hospital C.E.O Mr. Gordon Odundo and Medical Director, Ravindra Bowry towards the hospital’s Children’s Heart Fund. 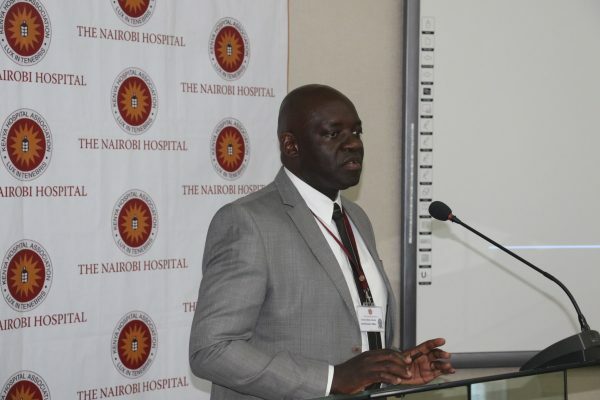 The Nairobi Hospital C.E.O gives a speech during a recent sponsorship event.